At Vipond we strive to maintain and exceed our customers’ expectations in providing a quality service. To maintain our commitment to quality we have achieved and maintained ISO:9001:2008 approval by the Loss Prevention Certification Board (LPCB). Vipond is also approved to LPS 1014 and LPS 1048 Level 4 by LPCB to design, install and service sprinkler systems. 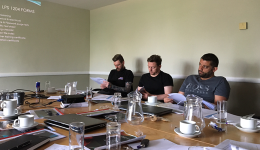 The directors of Vipond Fire Protection Ltd are committed to the highest health and safety standards in the workplace and accept that this is the common objective of members of staff throughout the organisation. It is company policy to take all measures that are reasonably practicable to protect employees, visitors, sub-contractors or any other persons who may be affected by the company’s undertaking, from foreseeable risk of injury or ill-health which could result from fire protection services activity. 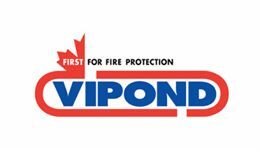 Vipond Fire Protection has attained Safe-Contractor and CHAS certification. In fulfilling this responsibility all levels of management are committed to a safe and healthy working environment for all employees, ensuring all statutory obligations are met and that suitable information, instruction and training is provided to enable all employees to perform their duties safely and effectively. Company employees are also committed to the promotion of the same high standards of health and safety and in order to meet their responsibilities must adhere to all working procedures and correctly use all equipment and devices provided for their safety. Implementation of the policy is led by top level management who review the policy regularly and incorporate any changes in legislation, working practices, plant or equipment which have a bearing on the policy. Vipond is also committed to protecting the environment from any harmful effects arising from our work. In 2011 we made a firm commitment to reduce CO² emissions by adding hybrid vehicles to our commercial fleet and by researching methods by which we can reduce fuel consumption on all fleet vehicles.